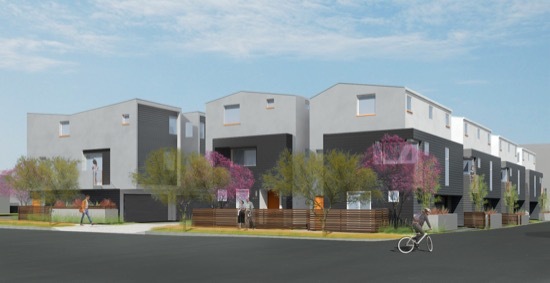 This project consists of sixteen homes utilizing the Los Angeles Small Lot Subdivision Ordinance. The homes are located within the Valley Village Specific plan which dictates the amount of open space and landscaping on the project. 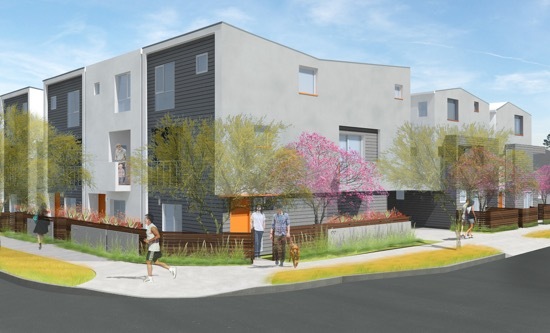 Taking the inspiration from the rules of specific plan and also the nearby neighborhood, Valley Village takes ideas found in a traditional single family home and incorporates a modern twist. By manipulating the form and using roof pitches, this project uses traditional ideas and forms and strips them down to their simplicity to make this project unique.